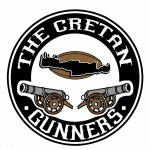 On Saturday 21st October Cretan Gunners travelled to Athens to play Egaleos City Rugby Club. A warm and sunny day saw hot windless conditions for the players to meet a side considerably larger than themselves. Despite this and after 40 minutes of great defensive work and only a few attacking opportunities the half time score was 0-0. Gunners finding themselves without a score despite all their hard work. Egaleos in this first half had failed to get beyond the Gunners 22m line with most of the play being in the Egaleos half. Gunners came very close to scoring with Linoxilakis crossing the line only for the try to be ruled out for a foot in touch. 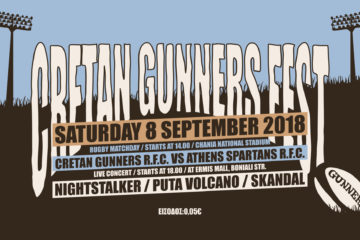 The half had been marred by the loss of several players to injury, Prop Zoulakis and Centre Livadiotakis with leg injuries and the loss of the very experienced duo of Manolikakis to an upper leg injury and Katsafrakis with a potentially serious ankle and knee injury. All of which threatened to have a serious impact on the Gunners in the second half. The second half with only the experienced Terezakis to lead the Gunners team of beginners, resumed with play much the same as the first half, between the 22m lines. This was until after 15 minutes Maltezos raced through a gap in the Egaleos backs, avoided three tackles and scored the first try which he then converted to put Gunners 7-0 in the lead. 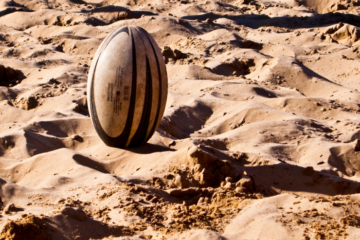 Five minutes later Alexandris copied Maltezos by going racing through a gap and evading a couple of tackles to score the second try which Maltezos narrowly failed to convert. Gunners now 12-0 ahead with 15 minutes to go. 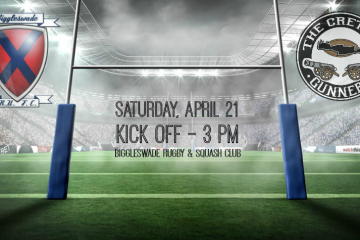 The big Egaleos side pushed for the try but great defensive work kept them out most notably Zouganelis in his debut game made two try saving tackles almost on the Gunners try line to prevent Egaleos from scoring. However, pressure told, and the tiring Gunners conceded a try with five minutes to go with the try unconverted. Gunners were still ahead 12-5 and with only minutes to go managed to hold on to win the game. This result was a great credit to the team in only their third game and with four players making their playing debuts.